When travelling and living in a camper van or motorhome you can chose to stay in campsites or free camp in acceptable areas. The facilities you have in your vehicle, namely a toilet and shower, will determine whether you can, or how often you can camp for free. Campsites offer the greatest amount of facilities and the greatest security but cost money. To stretch your funds and increase your travelling time you can consider camping for free, or ‘free camping’. I personally do both. I often free camp for several days, parking in acceptable areas such as beach car parks, using the toilets and (normally cold) beach showers. Every few days I go to a campsite. Whilst in the campsite I wash my clothes, top up my fresh water, dispose of my waste water and do anything I need to whilst I am them. This is a great way of reducing your camping costs. Either way is good for meeting people. If you are incorporating water sports into your trip, such as surfing, windsurfing, kayaking, etc. then free camping by the beach offers a great advantage as you can watch the conditions of the sea and wind and get in the water whenever you like. You’ll also meet more people practicing your sport. Driving and staying in cities is more difficult with a large vehicle such as a camper van or motorhome. See our guide to cities. See our camping tips section. Be sure to see our camping trip essentials guide. Campsites are popular everywhere where you might consider living or travelling in a camper van or motorhome. Wild camping, or free camping is where you park your vehicle in an acceptable place, such as a beach car park, and camp for free. Camping is perhaps a misleading term. In most countries erecting a tent is not accepted, and you should ensure that all of your things remain in your vehicle. Sitting outside with a table and chairs is fine, as is hanging out your washing. Camper vans and motorhomes are great vehicles for sports. They offer space to carry sporting equipment, somewhere to sleep if staying overnight and somewhere to make hot drinks and food. Below are some tips about carrying and storing sporting equipment. Where ever you travel with your camper van or motorhome, it is likely that you will want to visit cities. 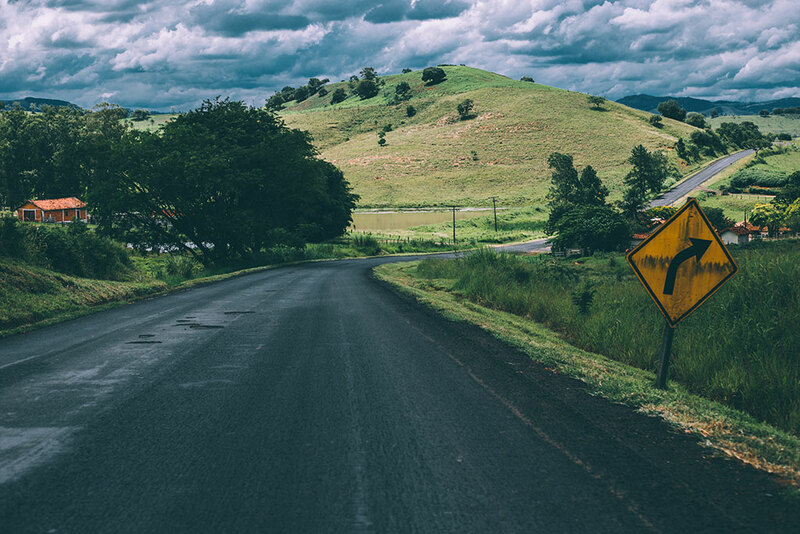 Due to the high traffic volume in cities, driving is more difficult that in rural areas. If you have a large vehicle, such as a motorhome, then driving becomes even more difficult. Parking especially can be more difficult. Laptop computers are a great addition to a camper van or motorhome, especially for longer trips. With your laptop you can watch DVDs, listen to music, watch television (with an adapter), browse photographs from a digital camera, write notes and send emails. It is possible to use your mobile phone to connect to the Internet and send emails when traveling, although this can be expensive. It is often nice to watch a DVD in your vehicle. If you have a television you can simply add a DVD player to your setup. If you are staying in campsites and are using a 240 volt power hook-up then you will not have any power problems. If you have a 12 volt system then you will have to use a power inverter. Enjoying good food is one of the highlights of any traveling trip. Keeping costs down is a priority of most peoples trips. Keeping things simple can help greatly in preparing and clearing up after cooking. Here are some recipe ideas that may inspire you to try something different. I’d highly recommend having a stereo in your vehicle. Listing to music, or a language CD, is great when driving along. Music is also great when you are parked up and enjoying a drink, watching the sun go down. Most vehicles have a stereo fitted to the dashboard, powering speakers in the doors. Here are some tips on saving money when camping. By free camping, as well as staying in campsites you can reduce your daily accommodation costs. Free camping is tolerated, and even encouraged, in some areas. Stealth camper vans are home made camper vans that do not look like a camper van from the outside. This generally means they do not have any windows. People do not add windows to their camper vans to avoid the attention of thieves. 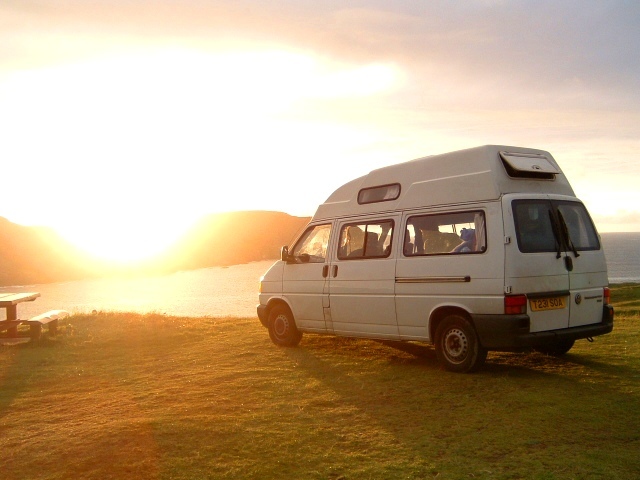 Many people travel alone in a camper van or motorhome. I did so in 2006 through western Europe, and had a great time. It is easy to meet other people when travelling. Whether you are staying in campsites or free camping, there are friendly people everywhere. Bicycles are a great addition to a camper van or motorhome. Bikes make exploring towns, cities, parks and lots of other areas much easier. They are particularly useful for popping down to the shops when your vehicle is parked. The downside to bicycles is storage. Bikes are difficult to store inside a vehicle, and a bike rack on the back is normally the best option. I think Darren is right!,, try both types of camping to see what u like best! It all depends on the cash u have,, if u can afford to pay for campgrounds they are nice but with my trips I’ve found that it take away so much cash that it doesnt allow me to do other things. In the U.S. there are many places to camp for free such as Nat Forest, BLM land etc as well as walmart or other large retail stores for a night or so but just use them as an overnite parking,, no lawnchairs, coolers etc sitting out around ur camper,,, sooner or later the police will show up an run u off! And it will ruin it for the rest of us,, I’ve just used it when I was to tired to drive or when I get into town in an area I want to camp but to late at nite to search for a camp spot. The main thing is dont draw attention to yourself!,, ask for permission,, walmart, cracker barrel etc,, spending alittle cash will help such as on your way out from buying afew grocerys or dinner just ask manager and most likely he will stear you towards a spot away from the main parking lot or even tell you of a nice spot he knows of in town where others have had luck camping,,, but to be real who wants to park in a parking lot with people all around anyway. Boondocking for me is the key to be able to travel on my disability income if I had to pay campground prices I wouldnt be able to travel much but if I use say Nat Forest land or other Gov land you can stay up to 14 days before u have to move to another area,, usually just 20 miles will do it and set up camp again,, all it takes is a little planning ahead an it really isnt hard to know where ur gonna call home. Good luck with ur trip and B safe! My girlfriend and I are hitting the road in August and I’m curious if we should be planning on staying at campsites more than boondocking. Her and I really wanna see the beauties of the United States so however we can do that safely is important. I would recommend doing both to start with. See how you find each style of camping, then decide from there. I prefer boondocking, or wild camping as we call it in Europe, but like to visit a campsite once a week to freshen up the vehicle, and do laundry. We are planning to visit Bulgaria this summer with our three kids and are looking for a reliable campervan hire in Bulgaria. Does anybody out there has experience campervan rentals in Bulgaria and could forward some contacts. Here in Australia it depends on where you are. There are a number of free and cheap ($5 per night) campsites around the country. You still have to be careful. The wild animals in these parts are the feral humans. well money counts but security counts more. so if we pay a amount to campsites than we are fully secured, not only from thieves but also from wild animals.